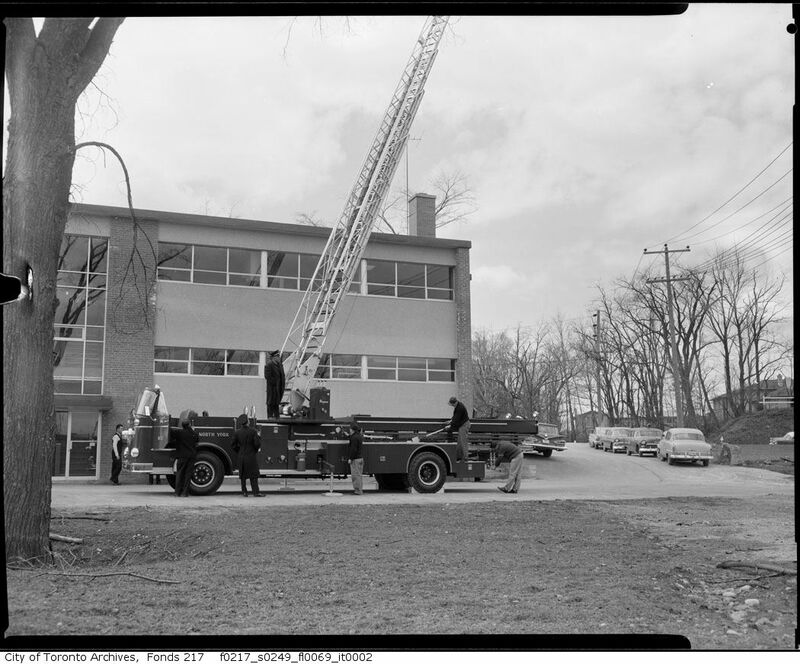 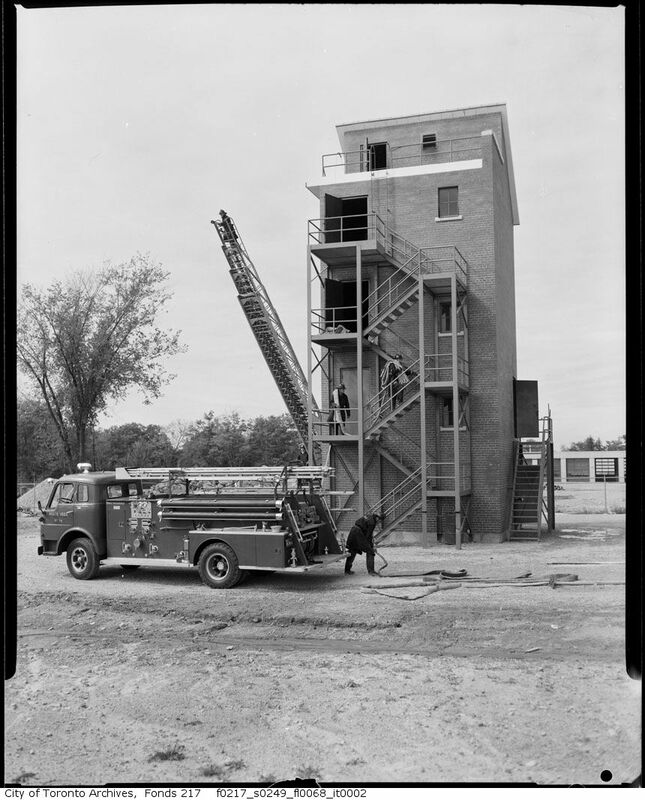 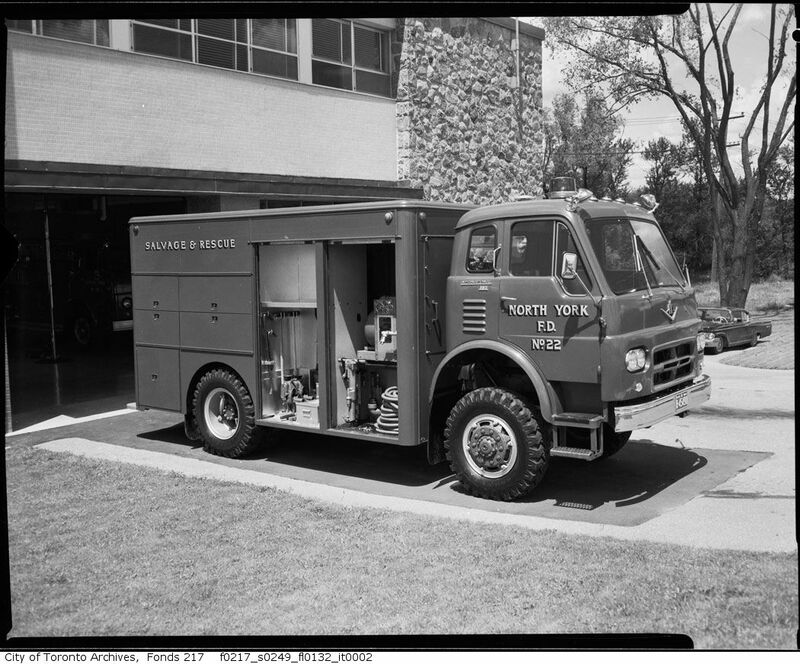 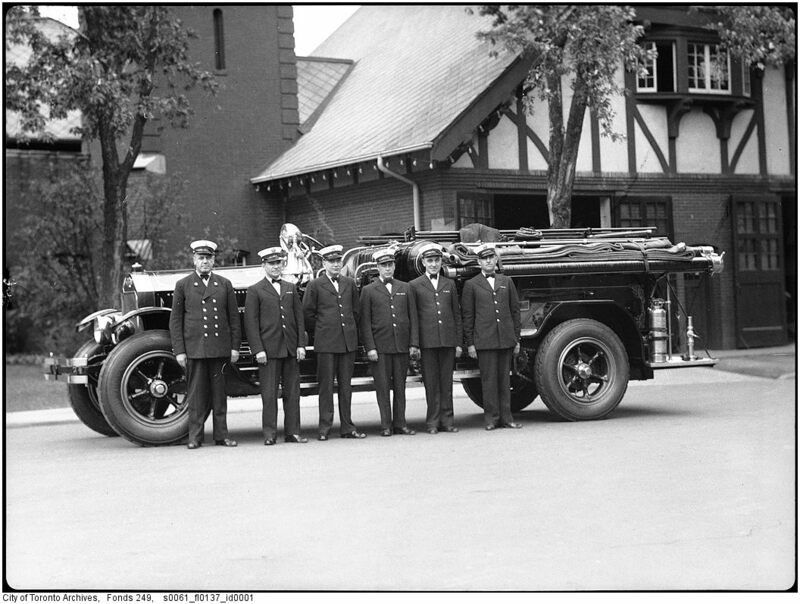 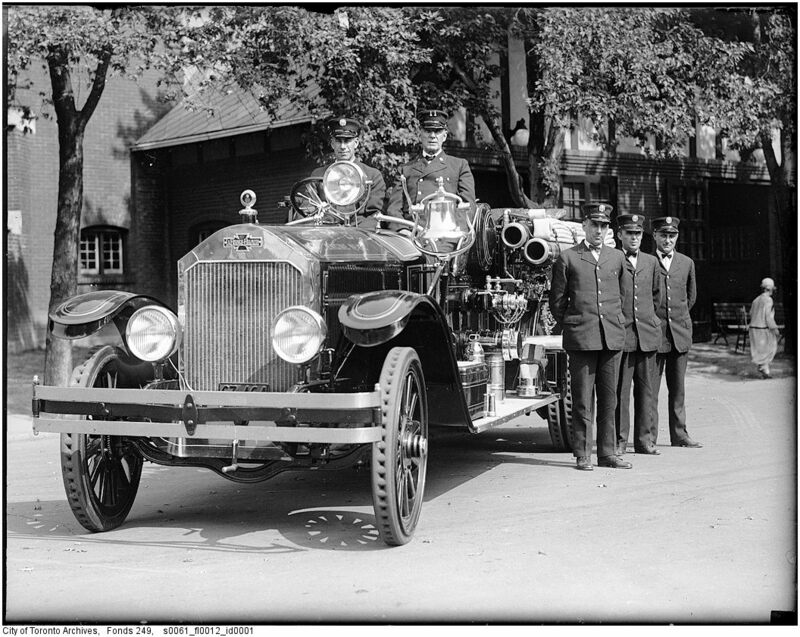 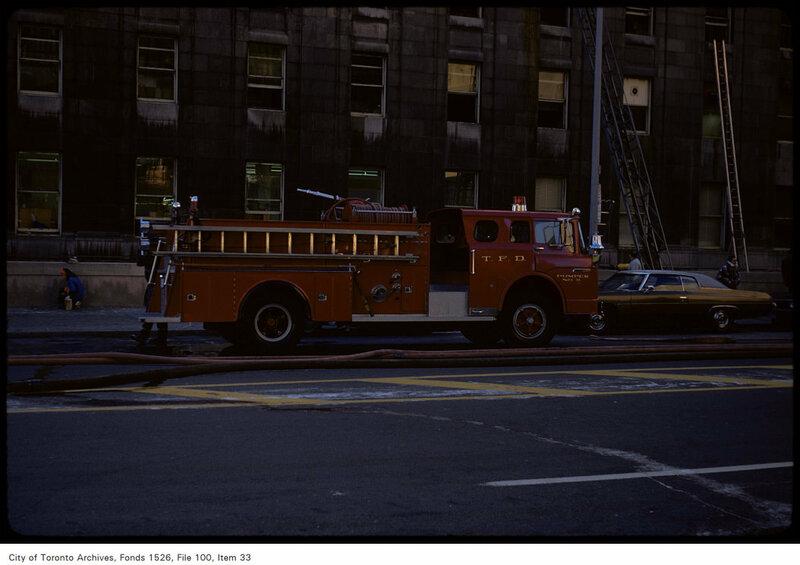 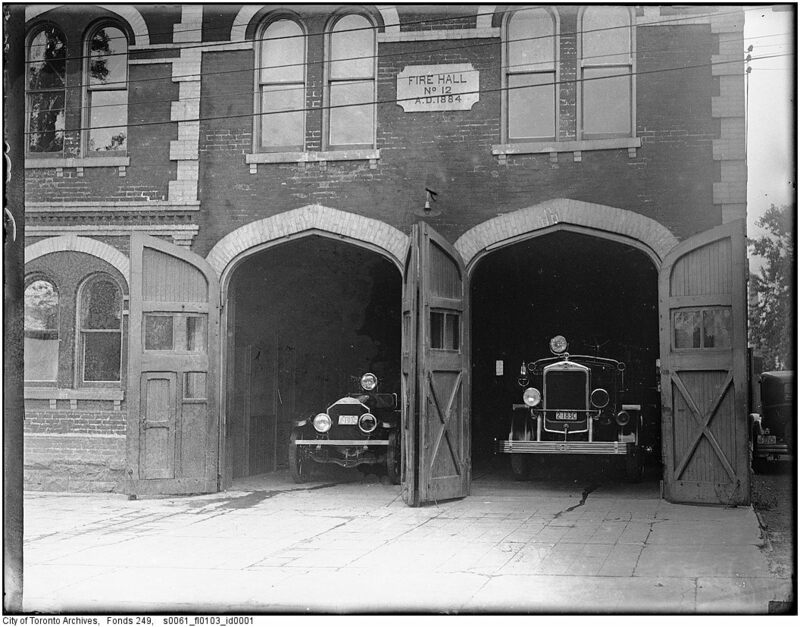 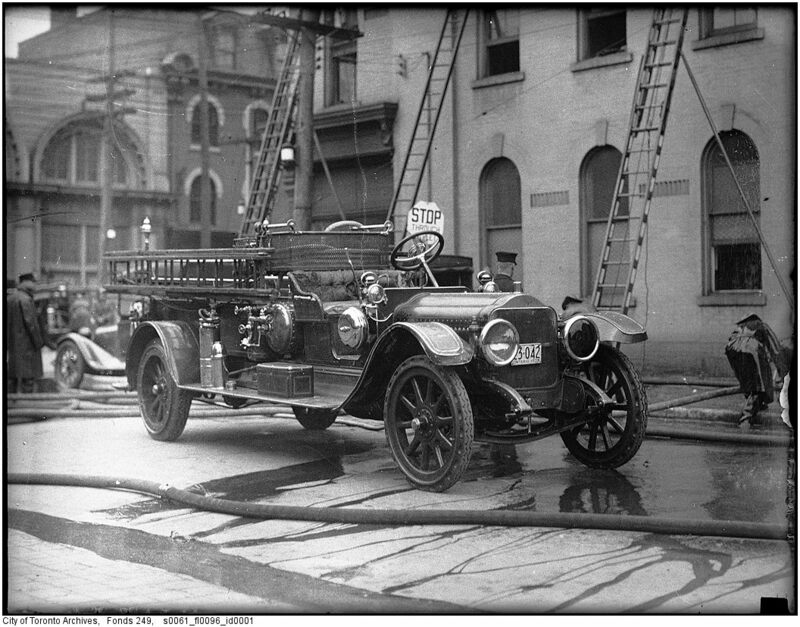 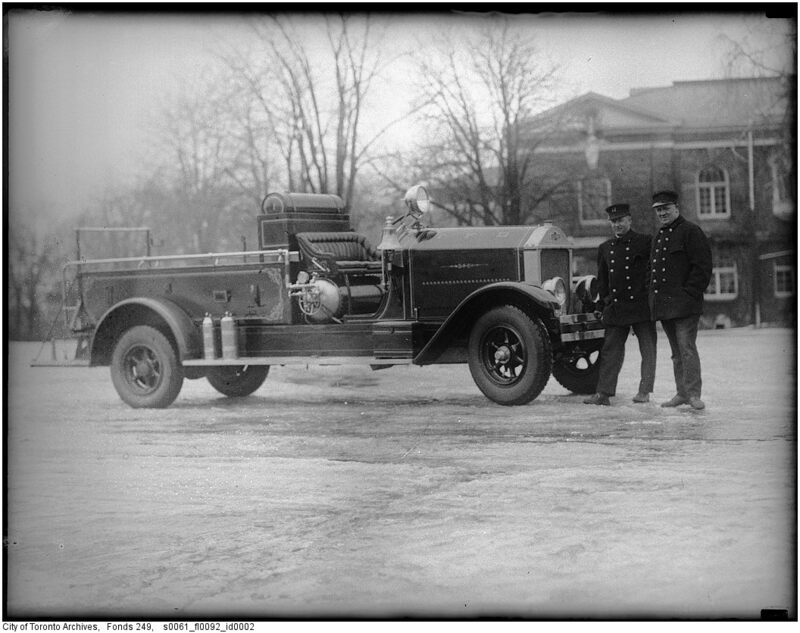 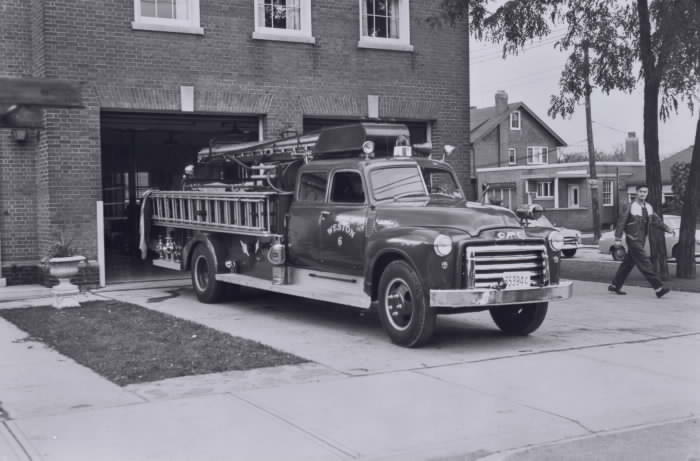 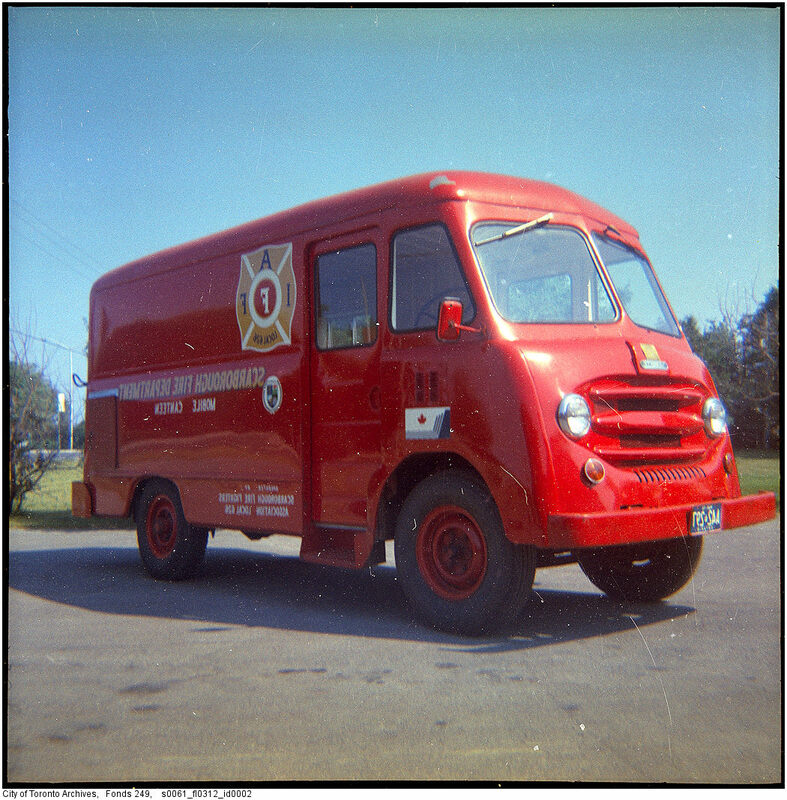 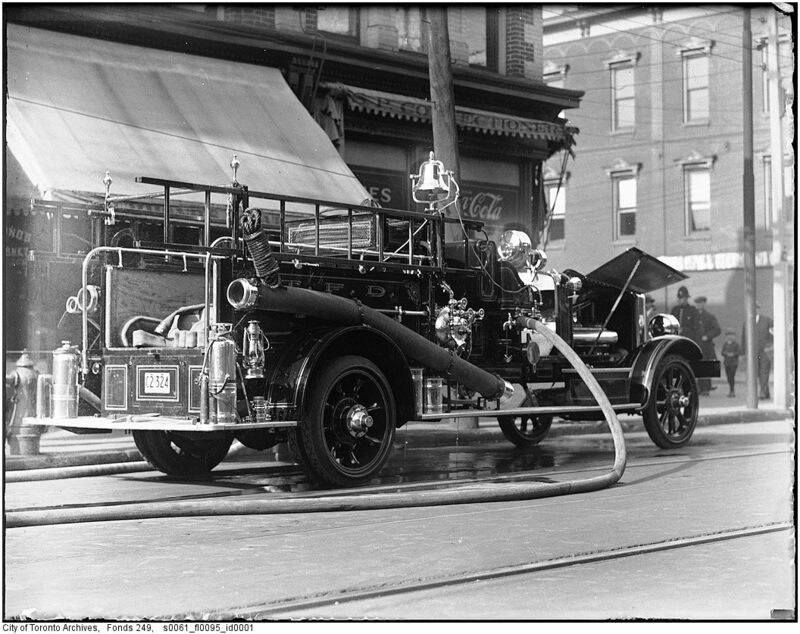 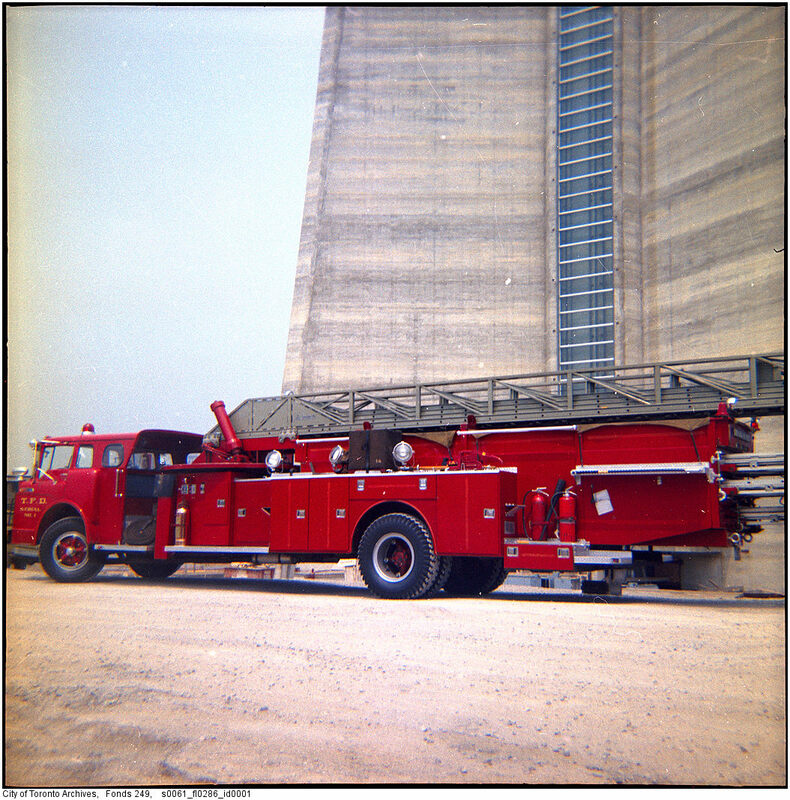 For my latest curated collection of historic images from Toronto, I put together some vintage fire truck photographs from the Toronto Public Library and the Toronto Archives. 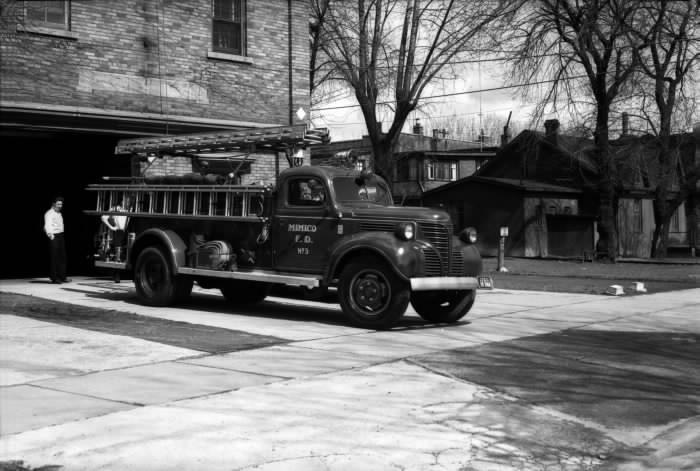 I love the various designs of trucks and the scenes that the shots are set. 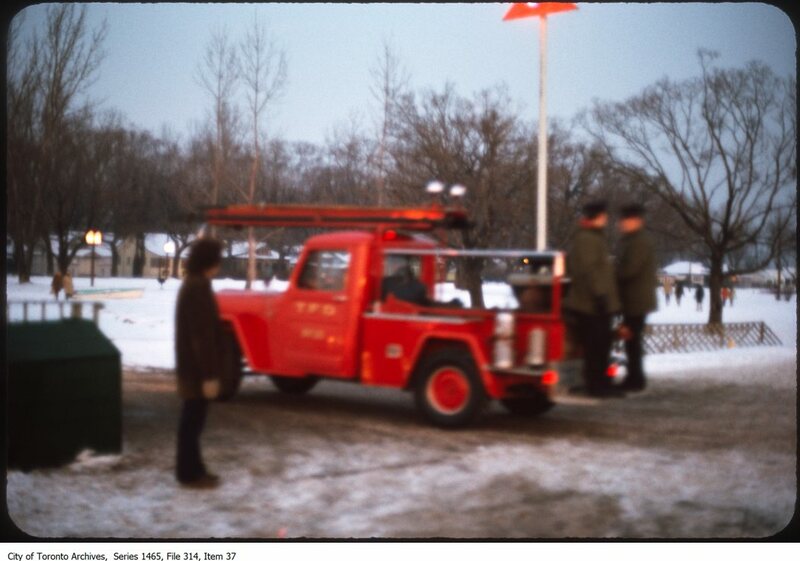 Let us know what interesting things you notice via social media. 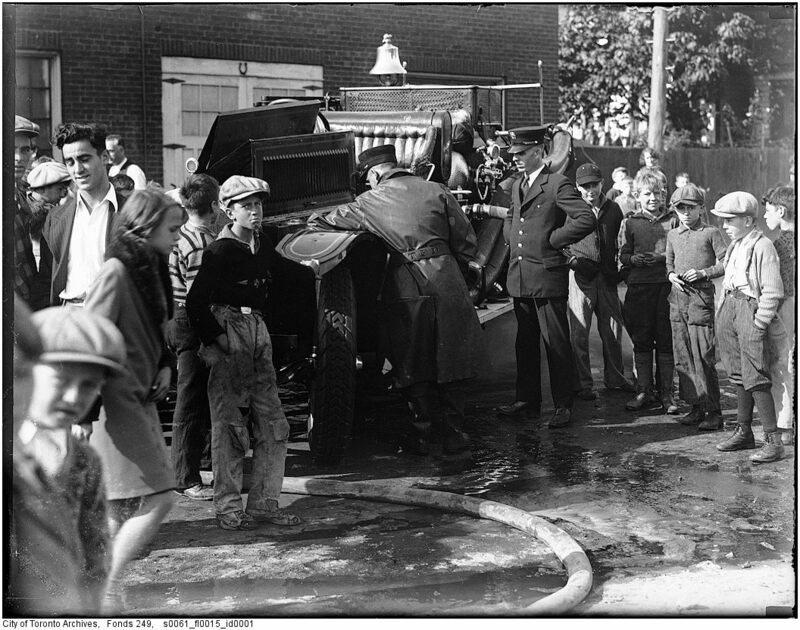 1938 – Firemen distribute cheer to Toronto hostels. 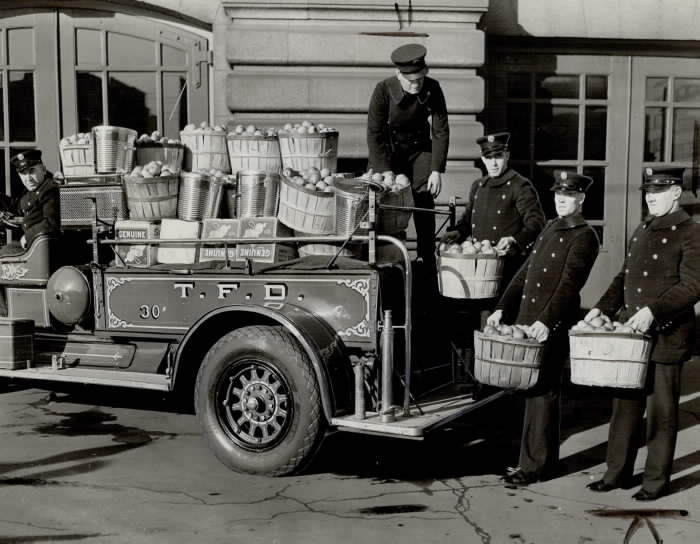 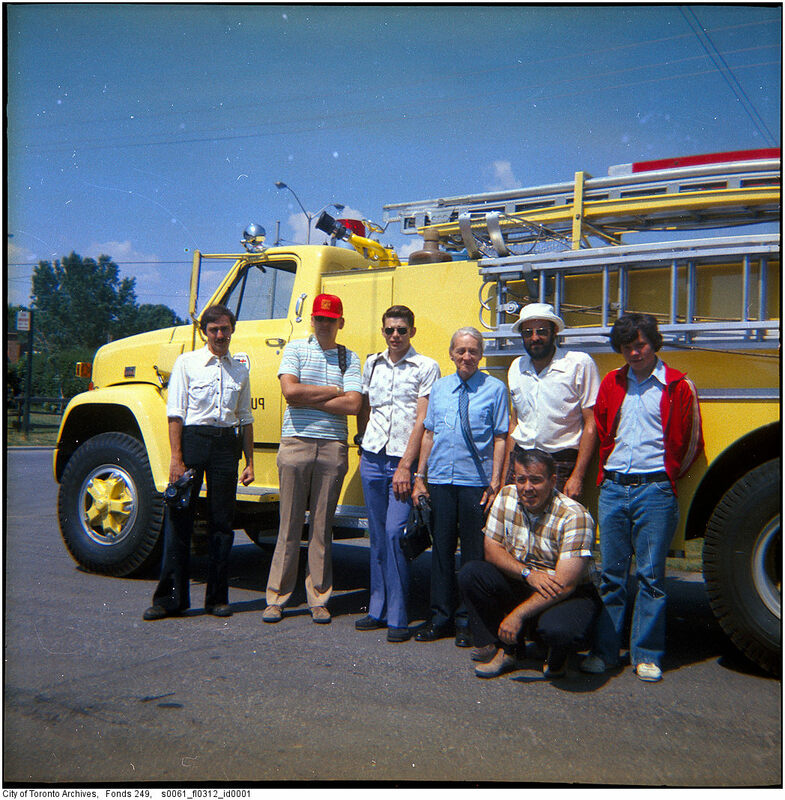 With their fire truck well loaded with apples; these members of the Toronto fire department set out to bring cheer to the fivc Toronto hostels. 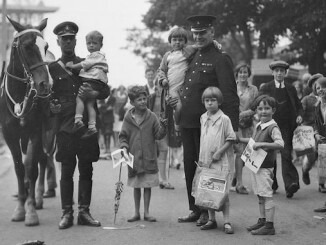 They also took along fruit; nuts and candy. 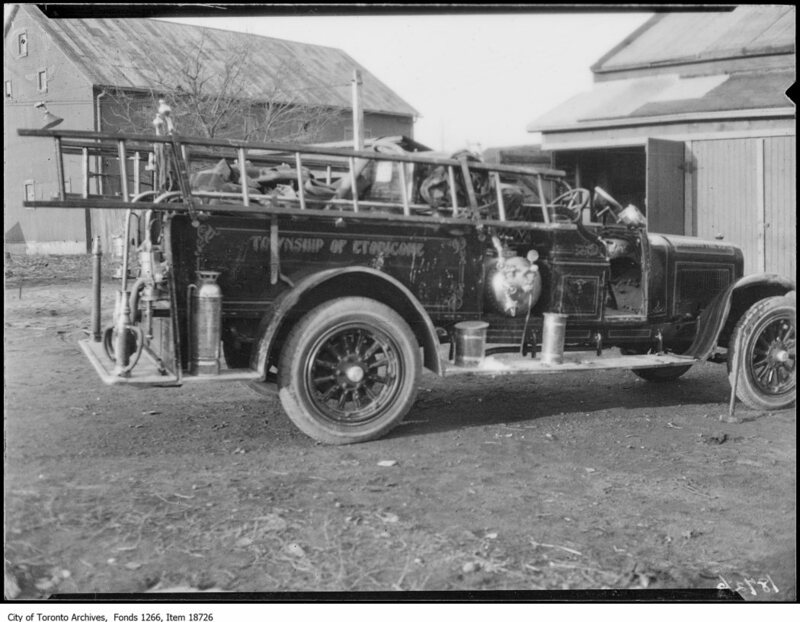 This year the Toronto Fire Fighters’ association decided to do these Christmas giving on their own instead of joining with civic employees. 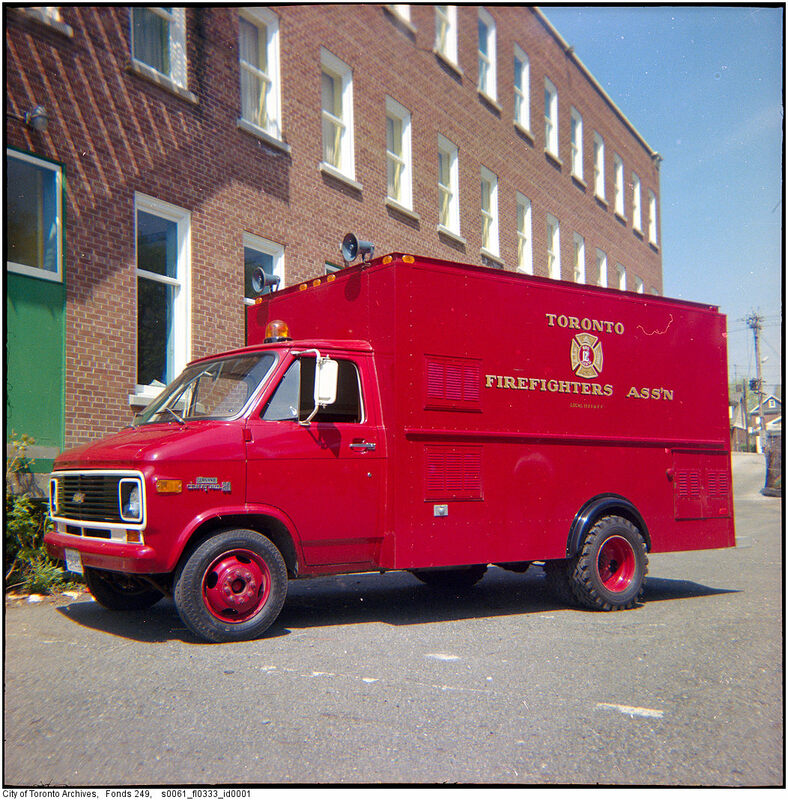 The mailed cheques totalling $2;000 to 14 Toronto charitable organizations including The Star Santa Claus Fund. 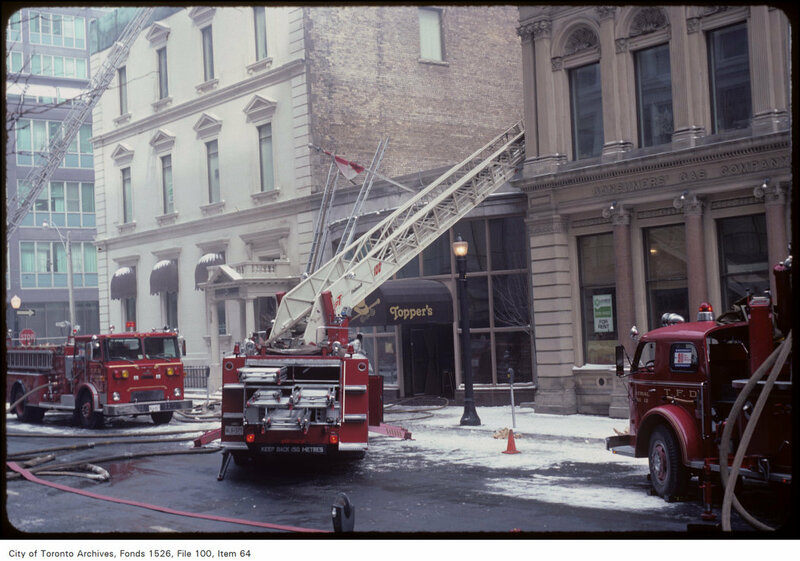 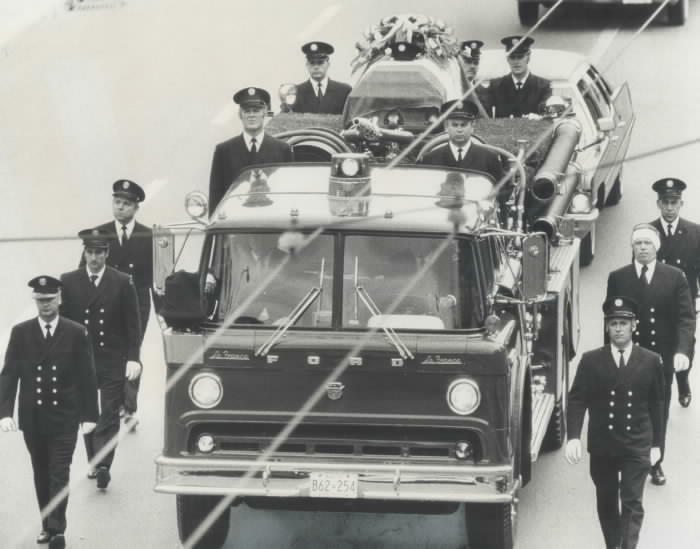 1972 – bandage around his head; walks department pumper truck carrying who was killed fighting restaurant fire Saturday on Queen St. near Roncesvalles Ave. More than 850 firemen; including 300 from outside Toronto; surrounding boroughs; attended funeral today. 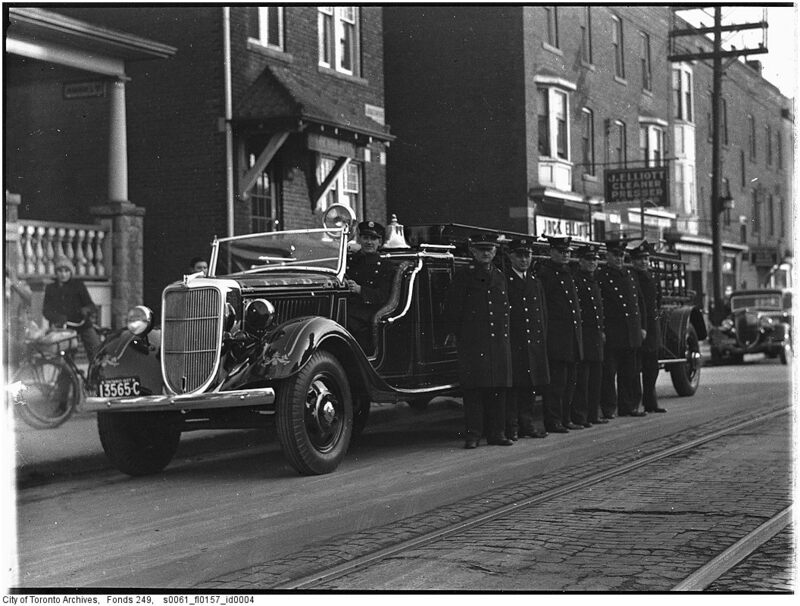 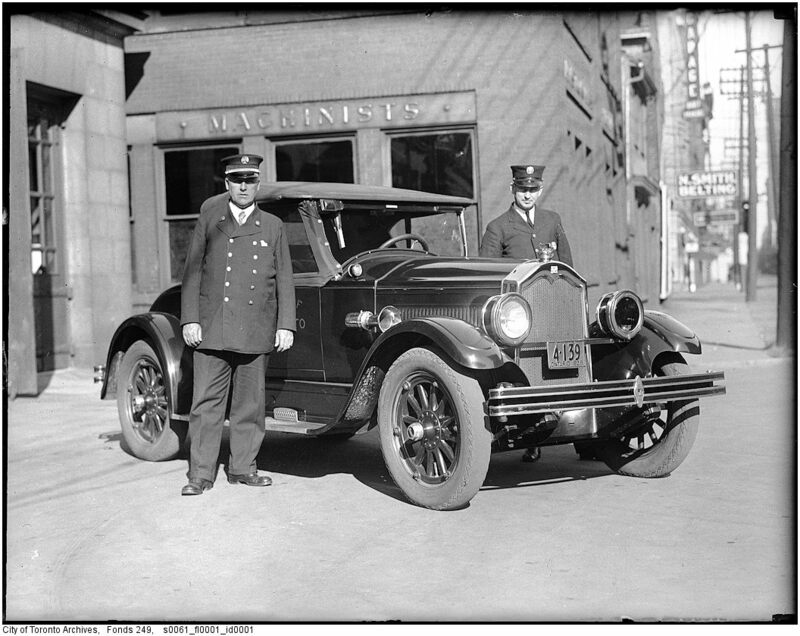 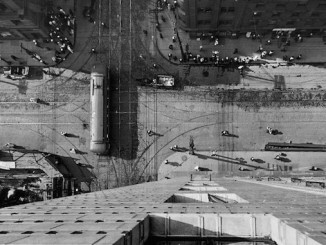 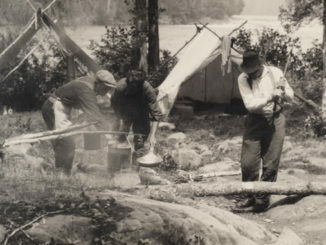 Check out the Toronto Archives for more historic images from our city.